Over the past 30 years, Dr. Cortinois has worked as a journalist, researcher, teacher, and manager of health-related interventions on four continents, mainly in low-income countries. He has earned a Masters of Public Health with a global health emphasis in the UK, and a PhD in the Institute of Health Policy, Management, and Evaluation at the University of Toronto. He is an Assistant Professor at the Dalla Lana School of Public Health, University of Toronto, where he teaches courses in migration and health and global public health. Over the past several years, Dr. Cortinois has worked on applied research projects focusing on the use of new information and communication technologies (ICTs) to reach marginalized population groups, both in Canada and globally. His research agenda focuses on the links between globalization, migration and health and on global human movements in the Anthropocene. Dr. Gastaldo is an Associate Professor at the Bloomberg Faculty of Nursing and Director of the Centre for Critical Qualitative Health Research at the Dalla Lana School of Public Health, University of Toronto. She has been a visiting professor in several countries, including Spain, Brazil, Nicaragua, Mexico, and Australia. For the last 20 years she has worked internationally to build capacity for health research and to develop critical and equitable approaches to produce transformative knowledge and achieve health for all. Her research focuses on the health consequences of social inequity.Methodologically, Dr. Gastaldo favours community-based and participatory-action approaches. She is the author of over a hundred publications for academic and community audiences. Celeste Bilbao-Joseph is the HIV/AIDS Mental Health Clinical Counsellor for the HIV/AIDS Prevention Program at the Center for the Spanish Speaking Peoples. She has over 18 years of experience in the Mental Health field. As a Clinical Psychologist in Argentina, her home country, she worked in private practice and was also a Psychology Professor at several universities. She currently specializes in HIV/AIDS/STI’s prevention, crisis and trauma counselling; also providing education and training on the sexual and mental health of the migrant LGBTQ population in Toronto. For the last 10 years Ms. Bilbao-Joseph has been serving migrants and refugees from 22 Spanish-speaking countries, offering a variety of services (psychotherapy, educational workshops and research). Her area of expertise and interest is the intersection between migration, gender identity and mental health.​Celeste is also the founder and director of Trans Latinas Ontario (TLO), the first group in Canada of its kind, supporting Latino Trans Women.Ms.Bilbao-Joseph has participated in several national and international ethno-racial Community Based Research projects. Her current research interests are global mental health, the relationship between social justice, power imbalance and ethno-privilege, the right to health equity of migrants and refugees, and community-based participatory interventions that have a real impact in vulnerable populations’ lives. Dr. Gea-Sánchez is the Vice Dean at the Faculty of Nursing and Physiotherapy, University of Lleida. She is a registered nurse and holds a PhD in Health and a degree in Business Studies from the University of Lleida. Her research areas are the social determinants of Health and health systems and services. She is a consultant at the Health Care Research Unit from the Institute of Health Carlos III (Investén-ISCIII),Vice-President of the Official Association of Nurses from Lleida and Counsellor of the Catalan Council of Nursing. She is the principal investigator of the Health Care Research Group (GRECS) at Biomedical Research Institute of Lleida and a researcher of the Society, Health, Education and Culture Research Group (GESEC) at University of Lleida. Stefanie works as Government Relations Manager at the Access to Medicine Foundation, an independent non-profit organization that seeks to guide and incentivize pharmaceutical companies to enhance access to medicine in low- and middle-income countries. She manages relationships and partnerships with governments and global donors and supports fundraising activities. Prior to joining the Foundation, Stefanie worked for various public, not-for-profit and multilateral organizations, including the World Health Organization, the Ontario Ministry of Health and Long-Term Care in Canada, the Center for Global eHealth Innovation and Dignitas International. She has experience leading the development of inter-sectoral government policies and global health capacity building tools for governments and overseeing health research funding within government. Stefanie holds a Master of Global Affairs and an Honours Bachelor of Psychology from the University of Toronto, Canada. Marium Jamil is a Master's of Public Health Student at the Dalla Lana School of Public Health, specializing in the field of social and behavioural health sciences. She holds a BSc from the University of Toronto, where she studied Political Science and Health Sciences. Marium is currently a Research Coordinator at the Lawrence S. Bloomberg Faculty of Nursing for the Workers in the Gig Economy Project. Her past experience ranges from working in Kenya on a study examining the health and well-being of orphaned and separated children to working as an intern with the United Nations Refugee Agency in Ottawa. Marium is passionate about migrant health and human rights. Erica Briones-Vozmediano is a Lecturer at the Faculty of Nursing and Physiotherapy, University of Lleida (Spain), teaching the subject of determinants of health and public health. Her training is Humanities and postgraduate studies in sociology, she has earned a Master in Gender and Equality, and a PhD in Public Health. She has conducted research focused on gender and health, violence against vulnerable populations, public policy, and migrants’ occupational health. Dr. Briones is also a member of the Wold Health Organization collaborating centre on social inclusion and health of the University of Alicante (Spain), and she has partnered in policy documents such as “Spain: Assessing health-system capacity to manage sudden large influxes of migrants” and the Policy Brief “Preventing and addressing intimate partner violence against migrant and ethnic minority women: the role of the health sector”. Erica has also taught qualitative research at the University of Alicante (Spain). Ms. Astrid Escrig is a researcher and international development professional with extensive experience and training in non-profit program management, grant management, knowledge translation, international events planning, and strategic communications.Ms. 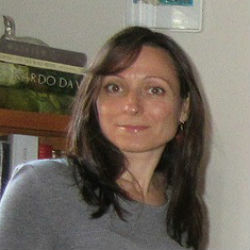 Escrig holds an MA in Critical International Development Studies from York University, Toronto, and a BA in Journalism from Universitat Pompeu Fabra, Barcelona, Spain.She is currently working towards a doctoral degree in the Social and Behavioural Health Sciences Division at the Dalla Lana School of Public Health, University of Toronto. Ms. Escrig's current research interests lay at the intersection of global mental health promotion, the right to health of migrants and refugees, and community-based innovation. Her work is driven by a strong commitment to health equity and human rights, globally. ​Nicola Gailits is a doctoral student at the Dalla Lana School of Public Health (University of Toronto) examining the intersections of mental health, migration, and gender. Her doctoral research aims to critically explore mental distress experienced by newcomer women from Latin America living in Toronto, using narrative methodology to listen to their stories. She holds an MSc in Global Health from McMaster University, during which time she conducted a qualitative study on psychosocial support with North Indian women in Uttarakhand, India. Since 2017, she has been working with the Centre for Spanish Speaking People and GloMHI on the Trans Latinas Rompiendo Barreras project, working with a team of researchers to qualitatively evaluate a program for transgender women from Latin America. ​Maria del Mar Pastor Bravo is a Postdoctoral Fellow at the Faculty of Nursing, University of Toronto, with a focus on labour migration. She has earned a Master in Women’s Health, a Master in Gender and Equality, and a PhD in the line of research "Factors related to the right to health of women in the world." She has conducted research in Morocco, Brazil, Kenya, Mexico and Spain, focusing on human rights, public policy, culture, women migrants, and gender. Dr. Pastor has partnered in the Protocol to prevent female Genital Mutilation of immigrant women in Murcia, Spain and in the project of prevention of female genital mutilation and forced marriage in the Baringo area, Kenya. She received a postdoctoral grant from the Mexican government to investigate the social determinants of health in Mexican women, as well as highlight gender and identity factors during the development of the research. Maria del Mar has worked as a Professor at the University of Jaen in Spain, teaching the subjects of community nursing and human and therapeutic relationships. She has also taught qualitative research at the Autonomous Mexico State University, Mexico. Natalia Rivas-Quarneti is an Assistant Professor at University of A Coruña (Spain) and Honorary Lecturer at Brunel University (UK). She was trained as occupational therapists (BSc) and holds a PhD in Social and Health Sciences (University of A Coruña, Spain). She was also trained in UK, Denmark, The Netherlands, Switzerland and Sweden (European MSc in occupational therapy 2011-2013), and conducted two 3 months research internships in Canada (at University of Western Ontario, 2014, and University of Toronto, 2016). Driven by a strong commitment to health equity, human and occupational rights, she has worked with different groups living vulnerable situations and injustices, such as refugees or migrants, both in research and practice. For her doctoral work, she conducted a participatory health research study focusing on Latin American women in Spain during the socioeconomic and the impact of social determinants of health in their daily occupations and wellbeing. Currently, her research explores the impact of migration and precarious work on health and wellbeing and inclusion/exclusion. Her teaching is articulated around social determinants of health, health promotion, participatory community based actions and critical qualitative research for health and social care professionals, at BSc and MSc levels in Spain and the UK. Ms. Aguilera has a Master of Public Health from the Dalla Lana School of Public Health, University of Toronto. While she was born in Canada, she maintains transnational ties to her Nicaraguan roots. Ms. Aguilera has over four years of research and editing assistance experience on global health projects, as well as program coordination experience with non-governmental organizations in Ecuador and Peru. She has conducted research on the mental health effects of separation for migrant families; health effects of climate change and environmental degradation; and the health impact of Canadian mining projects in Latin America. At GloMHI, she collaborates on web and social media content development. Uttam Bajwa is Project Lead, Global Health and Research Associate at the Dalla Lana School of Public Health, University of Toronto. With a background in both scholarly and applied research and research management, she is particularly interested in migration history; public health pedagogy in global health and the health humanities; institutional evaluation and self-assessment; health workforce development; the future of work; and the health effects of economic exclusion on historically marginalized groups. Dr. Bajwa has a 2012 PhD in Latin American history from Johns Hopkins University where she completed a dissertation entitled “Frontier Enterprise: Immigrant Winemakers in the Argentine Wine Industry (1884-1914).” Dr. Bajwa is a Research Fellow at the Johns Hopkins Institute for Applied Economics, Global Health, and the Study of Business Enterprise, and a Researcher at the Global Health and Migration Initiative (GloMHI). She is also a research and policy consultant with several Toronto-area non-profits. Dr. Enkhee Jigjid is a physician with clinical research experience. She is currently working towards a Master of Public Health degree, with a specialization in epidemiology, at the Dalla Lana School of Public Health, University of Toronto. She has a strong interest in the epidemiology of non-communicable diseases, globally. Her current research work focuses on the use of information and communication technologies in mental health. Ms. Auxi Sanchez is a mental health nurse with many years of experience working in clinical settings, with a particular focus on the coordination of primary and specialized mental health services. She is currently completing a Masters program in Psychology, Health and Quality of life at the Universitat Oberta de Catalunya, Barcelona, Spain. Recently, she has completed research work on the use of information and communication technologies in mental health.